The year is 1970. America is in the midst of political turmoil: the Vietnam War faces extensive grassroots backlash, four students are killed at Kent State University in Ohio, and women strike for equality in New York. The music world is not without its share of anguish: the Beatles announce their breakup, American Top 40 is about to make scoring a hit record even more important to artists, and both Jimi Hendrix and Janis Joplin overdose and die within weeks of each other. 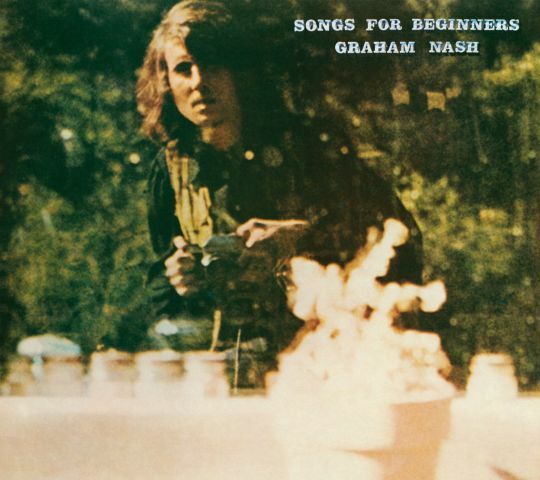 Graham Nash is dealing with his own personal unrest. Fresh off of two breakups, romantically with Joni Mitchell and professionally with Crosby, Stills, Nash, and Young, and politically charged, Nash takes to the studio to record his debut solo album, Songs For Beginners. Assembled with the assistance of a slew of members of the crescendoing Laurel Canyon music community, Songs For Beginners succinctly captures the trifecta of traits that have defined Nash’s songwriting: gut-punches of raw emotion, crafted with a pop sensibility in mind, and full of rallying cries for social and political activism. Nash openly and unabashedly shares his most personal feelings, whether they are intimate depictions of heartbreak or outraged shouts, in a manner that will influence folk-rock and indie singer-songwriters for generations to come. In this episode, we examine Graham Nash’s powerful lyrics and their lasting impression on society, discuss the wealth of music released during the Laurel Canyon era and the importance of creative incubator communities, and get deep into our feels about the relationship between Graham Nash and Joni Mitchell that fueled this album.